ARC means Advanced Reader Copy. They are generally distributed to bookstores so that the booksellers can read the books ahead of time. I am team #BenandErica as well as #TeamMikeandZoe. Ben and Erica are literally my OTP (one true pairing). Do you get to choose who holds the ACR’s? If so, then Is textbooks blast one of them? I’m a bit skeptical about them. Where do you send them to? I know some authors/publishers send them to small local bookstores whereas some send them to chains and libraries such as Barnes and Nobel. Which do you and your publisher send them? what is Erica middle name or does she have one? I have no control at all over the ARC distribution. My publisher handles all of that. I have never thought of that. I suppose she has one. Usually ARCs go to smaller bookstores and libraries. What gave you the idea of having Murray get in shape? It was such a great plot twist! 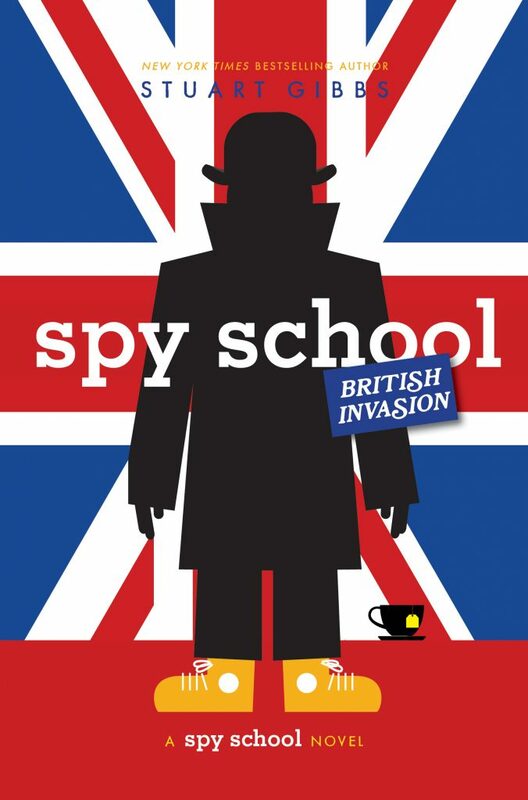 i recently finished spy school goes south and as always, amazing. im still wondering what that silver key from Joshua is. How well do you know your 12x tables? I have a question about the movie. Your publisher Simon and Schuster is owned by CBS. Your old publisher that you didn’t like HarperCollins is owned by FOX. Did CBS get first dibs and was it your choice? i would also like to know who is a HAMILTON fan? Hamilton is good I’ve only listened to the music. So either the new series or the 6th Funjungle book is about dinosaurs? Because I went to your Twitter website and saw something about a stolen T-rex. I’m always just trying to come up with ways to shake things up. All will be explained in SSBI. All information about Mr E is classified. I know them up to 12×12. There is really no synergy at all between the book and movie divisions at any media company. So nothing like that happened. The next book is about all sorts of things. how many people work for SPYDER? u are a girl? i am too! Okay, maybe I worded it wrong. So are we getting a dino-themed FunJungle book, or….. Since SPYDER is a very secretive organization, no one knows exactly how many people work for them, but it is definitely more than six. A stolen dinosaur skeleton is going to be a part of the story. But only one part. There’s a lot more going on. Why are you so shocked that boys would want romance as well as action? That’s an awfully sexist attitude. Are you shocked that girls want action sequences? There is a car chase coming in one of my books next year. Not only do I know that series but I am friends with its creator. Although we each created our series completely independently of one another. On the page one of the first Spy School book, Ben says that the day had been a “prime example” of his “mundane existence” (Gibbs 1). However, he also said that it was day 4,583 of his life. Apparently, 4.583 is also a prime number, a prime example of irony, considering that the day had been a prime example of his life. Was this intentional?